A big part of successful B2B is having and giving the right access to each company's data and documents in a safe and secure fashion. External users or guests are becoming more mainstream in Microsoft Office 365, both in their capabilities and how admins manage and report on sharing activities. This session focuses on what's new for sharing in both Microsoft SharePoint Online and Microsoft OneDrive for Business. 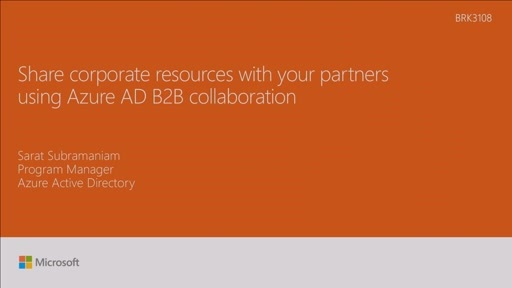 This session also focuses on what is coming soon for guest collaboration in Office 365, the core platform improvements and new levels of control and management at the Office 365 admin level.